Just when you thought that Toyota’s wide range of adventurous vehicles couldn’t get any better the 2016 4Runner has come along and raised the bar. This stylish, safe and comfortable vehicle is ready for just about anything you can dream up; here we will look at a few of its many highlights. Backed by a 4.0L 6-cylinder, 24 valve DOHC engine that churns out 270 horsepower and 278 lb/ft. of torque, the all-new 4Runner is ready, willing and able to take you anywhere and back. Featuring a 5-speed automatic transmission, Sequential Multiport Electronic Fuel Injection, Dual Variable Valve Timing with intelligence (VVT-i) and a heavy duty battery, this rugged SUV is an engineering work or art. Want to tow a few extra toys, tools or supplies along with you? Not a problem, as the 4Runner’s 2,268kg towing capacity has you covered. Fitting in all those important people and things has never been easier than in a 2016 4Runner. The standard model can comfortably accommodate 5 with plenty of head, leg and shoulder room for all on board while the SR5 and Limited models can seat up to 7 adults with ease. Regardless of the model you choose, 2nd and 3rd row seats fold flat with a single touch to boost cargo space dramatically and you will find pockets and compartments everywhere you could want or need them. This 5th generation 4Runner has taken its off-road abilities to a whole new level. Its Active Traction Control system (A-TRAC) is designed to prevent wheel slippage and maximise handling in even the most challenging conditions, while traversing obstacles and taking on steep terrain is easy thanks to the futuristic Crawl Control. The Multi-Terrain Select Systems (standard on the Trail Edition) even lets you customise performance by choosing between specialized modes for Mud and Sand, Loose Rock, Mogul and Rock. From the steering wheel mounted controls and touchscreen display to the SiriusXM Satellite Radio system, the new 4Runner will satisfy even the most modern drivers. The multi-informational display features a compass, real-time fuel economy data and outside temperature reading, and the ECO Drive Indicator will even train you to drive more efficiently and effectively. Keyless entry, Map lamps and a rear view camera come standard, the available Navigation System showcases voice-activation technology, and the 4Runner’s five 12V Auxiliary Power Outlets make keeping your many devices charged up easy. The only adventures worth going on are those that everyone returns from safely and in a 4Runner your entire crew will enjoy industry-leading protection. The body of the vehicle has been designed to absorb and disperse energy in case of a collision, reducing the chance of injury, while 8 strategically positioned airbags enhance your safety even further. Toyota’s Star Safety System also comes standard and includes Electronic Brake Force Distribution; Traction Control; Anti-lock Brake System with Brake Assist; Vehicle Stability Control and Smart Stop Technology. 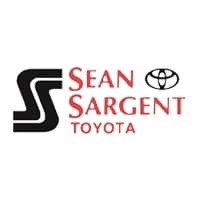 The 2016 4Runner has continued Toyota’s long and proud tradition of building tough, reliable, quality vehicles, and regardless of your style or budget you will find a wide range of great value options right here at Sargent Toyota. Drop by and see our selection of new and used vehicles today here at 10625 117 Ave Grande Prairie.